Whenever you see “24 karat” you deal with superior gold. That has to be a product of a reputable company of course. If there is fog around what is 24 karat gold exactly, then keep reading. Recently, I chatted about the meaning of “999.9”. Like I mentioned, “999.9” and “24 karat” are examples of two different systems used to show the fineness of gold or its purity. If you read What does 999.9 mean in gold? It is indication of good purity, it will be easier to understand the meaning of “24 karat”. By the way, the word “karat” originates from the word “carob”, a seed of a plant similar to a pea. Because these seeds are virtually identical in terms of mass, in antiquity, they were put on one end of scales to counterbalance precious stones, gold or whatever needed to be weighed on the other end. Using the mass of an average carob seed it was simple to estimate the mass of these precious items. Going back to 24 karat gold… So, “24 karat” is example of purity representation of gold using the karat system. In karat system, fineness of gold is expressed in parts per 24. Analogously to millesimal fineness system, it tells how many parts, out of 24, are pure gold in a given piece of gold. Imagine a piece of gold that is broken down into 24 parts of equal mass and all parts of pure gold are counted. For instance, in piece of gold denoted to have a purity of “24 karat”, all 24 parts would be pure gold. Accordingly, the higher the purity of gold the closer the karat number gets to 24 and vise versa. To get the purity of gold expressed in karats, the percent of gold (in decimal form) found in a given gold piece is multiplied by 24. However, unlike in millesimal fineness system, you would not be able to figure out the percent of gold just by looking at a karat number. You would need to divide that karat number by 24. For example, to find the percent of gold found in a 24 karat gold piece, 24 needs to be divided into 24 which would give 1 or 100% pure gold. In a 22 karat piece, 22 divided into 24 gives 0.917 or gold of 91.7% purity and so forth. The karat system is less precise representation of gold purity than millesimal fineness system. It is also more complicated and confusing. For these reasons, the purity of gold is often expressed in both, karats and millesimal fineness. Sometimes the karat system is not used at all. As a matter of fact, the karat system is mostly used in United States and England. Having said that, in the past, the karat was further divisible into grains and quarts which took care of preciseness factor very well. 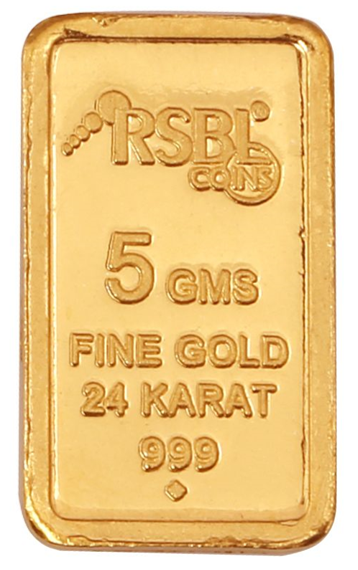 Also, karat system is only intended for gold, whereas the millesimal fineness system is used for all precious metals. To conclude, it interesting that raw gold just taken out of the ground typically has a purity of at least 18 karat. great website you have build, great images and great content you have in the website. it makes it look more alive and interactive. I like how you set up the subscribe button. I think you are giving ideas . You have very clearly explained the karat system and fineness when it comes to gold and now it makes a lot more sense. I’ve been growing more and more interested in gold of late as it seems like it would be a great investment. I’ve also had the urge to buy myself a metal detector and see if I can go out and find some. I really believe gold and other precious metals are the way of the future when it comes to sound investing. I think the chances of finding any gold is much better with a gold pan than a metal detector 😉 If curious, read about gold panning here. Having some gold always made and will make sense just because it’s gold, what else there is to say.